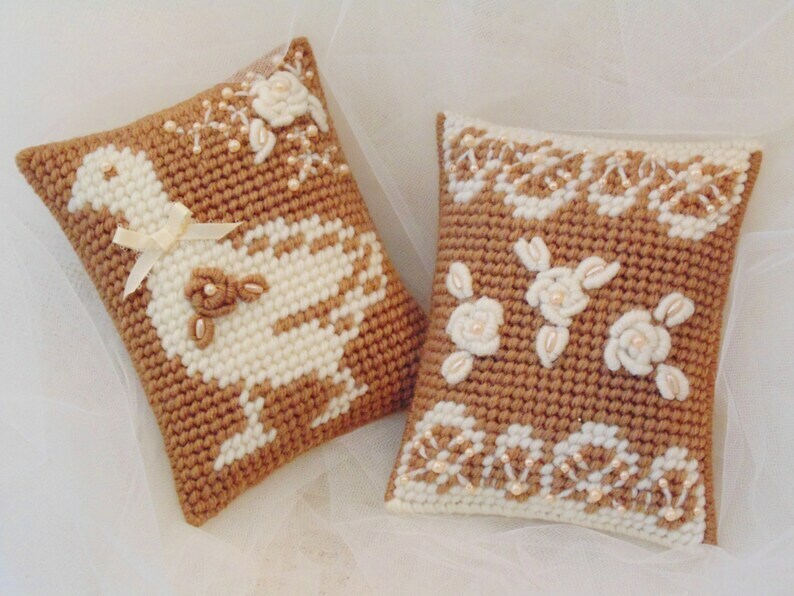 This lovely tapestry FARMHOUSE Goose and Roses pillow SET OF TWO, will add some Cottage charm to your space! Accent your decor with these special little pillows! Great bowl fillers/ pillow tucks. Stitched to look like lace, too! Approximately 4 1/2 inches by 5 1/2 inches. Stuffed for puffiness- sturdy plastic canvas- won't flatten like normal pillows.